It is an online retailer of physical gold and silver products that offer investors the lowest possible prices. The company was founded in 2012 located in Beverly Hills, CA. It is an online retailer of physical gold and silver products that offer investors the lowest possible prices, according to their website. 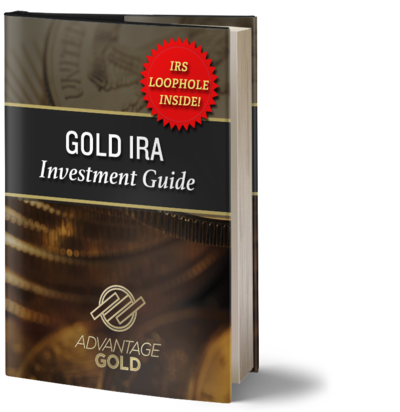 They also specialize in gold backed IRA’s, which allow individuals the opportunity to hold precious metals in their retirement accounts. From my initial research on their website, APM has all of the makings of a great precious metals dealer to work with. They offer great prices on their metals, buy back program, $0 fees first year IRA fees, and free insured shipping. Everything looks great about this company, however when visiting Better Business Bureau, I noticed that they where not accredited business. In most cases this is not a huge deal, but it is one of my important factors when choosing a precious metals IRA custodian. The company did however have a lot of positive reviews on Trustlink and Business Consumer Alliance, which is a very good sign. APM is currently not an accredited business with BBB and therefore has no rating. APM has a 5 star rating on Trustlink.org with over 100+ reviews at the time of this writing. Holds a AA rating on BCA with no current reviews on the website. You can also see the reviews of US Money Reserve here. If you want to know more about how I make investment, visit here. I provided a step by step guide for beginners for everyone to learn. I did not recommend the company because the precious metals dealer that I currently work with has offers just a little bit more benefits then APM. They seem like a great company to work with and like the fact that they are a family run business because that usually indicates a more personalized experience. When it comes to gold IRAs, I can really put my stamp of approval on this one company below.